Teenaged Schubert in the shadow of Mozart and Haydn, pre-twelve-tone Anton Webern and Hugo Wolf in rapture with the world around him: The Celebrity Series of Boston presented Thomas Hampson and the Jupiter Quartet in a youthful, ranging selection of works on Friday night at Jordan Hall, including the East Coast premier of Mark Adamo’s newly commissioned Aristotle for Voice and String Quartet. 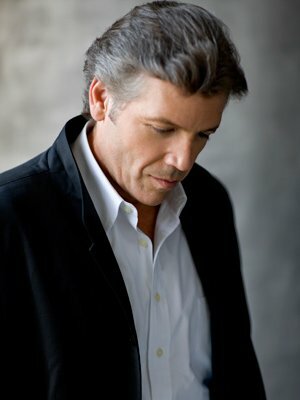 Hampson’s towering but always-tasteful baritone explored six of Wolf’s Lieder for voice and string quartet with texts by Eduard Mörike and Wolfgang von Goethe—all composed during the composer’s prodigious activity during 1888. Maybe the best example of Hampson’s ability to shape words and get to the heart of a composer’s goals for a certain poetic or musical phrase without overstatement came at the close of “Auf Einer Wanderung” (Upon A Journey On Foot): the speaker is left dumbfounded by the sights and sounds of a “friendly little town” (painted with warm, skipping rhythms by Hampson) and then by its surroundings. The single syllable “Muse” seemed barely containable in print or on stage. It wasn’t just a matter of volume, vibrato or the blend of sunshine and gravity in Hampson’s voice, but of his subtle building up to that point, of attention to every dynamic nuance along with miniature previews of the joys to come in words like “astonished,” before climaxing in a half-laughing, half-crying ecstasy made possible by the meeting of text, music and voice. Hampson’s clear diction, dramatic pacing and sheer engagement were on display throughout, in the rhyme and rhythm of “Fussreise” (Journey On Foot), the way he seemed to sing from within the harmonies of “Im Frühling” (In Springtime) or the pure floating lyricism of “Auf Ein Altes Bild” (To An Old Picture). “Verborgenheit” (Seclusion) begins and ends with the same text, asking the world to “let me be!” Steady line and controlled vibrato allowed the song to open on an imploring note and finish with a sense that the speaker’s wishes were granted. 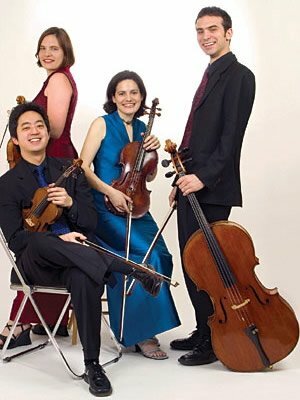 In the program notes, Mark Adamo notes “the privilege of making music for a singing actor of the caliber of Thomas Hampson” while also praising Hampson’s onstage partners, the Jupiter String Quartet. Hampson and Jupiter premiered the composer’s Aristotle last month in California. Set in three parts to a poem by former United States Poet Laureate Billy Collins, it describes the Greek philosopher’s dramatic values of “Beginning, Middle and End” with an assortment of examples, some stark, some satirical, set to dense, irregular offbeats and scrapings from the strings. Hampson seemed to enjoy this work, calling things to order in a commanding, at times eerie opening, and then offering a humorously clipped approach to lines like, “where the action suddenly reverses or swerves off in an outrageous direction.” The piece took a more melodic turn for the third and final section, with purely songlike moments from Hampson and a touching viola solo. Likewise inspired by the presence of Hampson, Jupiter provided sensitive and stirring accompaniment during Wolf’s songs, and worked alongside Hampson to construct a knotty, at times unnerving atmosphere for Aristotle. Yet in works without Hampson, the quartet took a more measured approach that didn’t leave as much of an impression. In Schubert’s String Quartet No. 10 in E-Flat (D. 87) Jupiter played up the bacchanalian Scherzo with some delightfully silly hiccupping and an intriguingly lethargic Trio showing life after the party. Yet the remaining three movements were so free of any type of mannerism and so careful as to seem standoffish. The four-chord motif of Schubert’s flowing Adagio seemed stark, and the energy of the closing Allegro was left entirely to Schubert’s striding rhythms. Webern’s Romantic era-style Langsammer Satz featured a seamlessly executed domino effect between the four players, whose sense of balance was faultless throughout the evening. Wolf’s Italian Serenade for string quartet started off strong, channeling the energy of a local dance. The quartet gradually eased up, eventually losing their initial incisiveness and relying entirely on the score to provide energy and contrast. Of course that might just be interpretive choice on the performers’ part. Yet that type of deliberate objectivity seemed much more noticeable in comparison with Hampson’s completely natural, very affective subjectivity.